As you started your adventure into ham radio what was your first radio and why did you specifically pick that radio? Do you still have it and does it work? Mine was an ADI HT. Two meter only. 5 watts out. Belt clip would burn your hand if you had a QSO longer than 10 minutes. Gave it to a new ham who needed a radio about a year after I got it. It was a great radio, great audio, easy to use & program. When I got my license, 2002, Dad offered to buy my first radio. I picked the FT-7100M, despite Dad's insistence I may want cross repeat capability. I had none of the issues so common with that model. But now I regret not getting a model with cross repeat function. Got it out of storage last year, and it's still going strong. Had to replace the original microphone, as the cable insulation crumbled with age-rot. I have the same model; it was given to me for FREE by a former co-worker who moved out of the country. 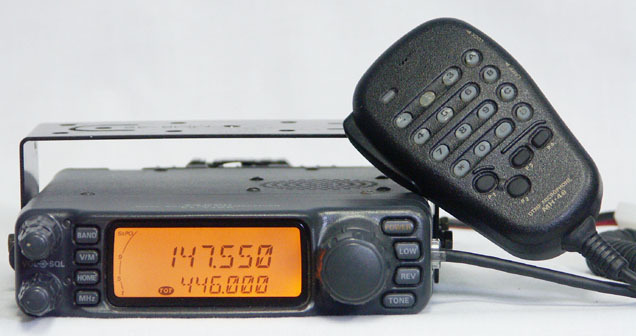 I had never owned a Yaesu mobile radio before and I use it daily and like it very much. I have had no issues with mine either like is so well reported in reviews on another web site. Had to replace the microphone cable also, but those are easy to come by. Kenwood TH-78A back in 1993. Chose it because it was dual band and the compact size. Sold it long time ago. It was a great little radio. Mine was a Yaesu VX8-8DR...LOVE IT!!! Not surprised to see several people with the HTX-202's as they sure were popular. My first amateur radio was an Icom IC-271. I jumped right into weak signal 2 meter activity. Had the Icom connected to a Cushcraft 13B2. A few months later I picked up an HTX-202. The Icom is long gone. But still have the 202 and actually just replaced the memory battery to put it back into service. As you started your adventure into ham radio what was your first radio and why did you specifically pick that radio? Ten-Tec, Omni V... it has a sensitive receiver, it's fantastic for CW and it was made in the U.S.A. Do you still have it and does it work? Yes and absolutely. Started out in LA with CB radio back when you got a callsign, then really got into scanners in the 70s/80s. My introduction to scanning and ham radio came roundabout from touring with my band. Our bus driver, Tiny (who, of course, weighed 300lbs) had a stack of radios within arm's reach as he drove, and I was amazed that he knew people all over the country in every city we went to. When the band slowed down I started my own thing doing jingles and whatnot, and I moved from LA to Florida in the late 80s and managed a few Rat Shacks before driving truck. Got my ticket in '95 after monitoring a ham net in central FL (Orlando) called The Central Florida Listeners Group on Sunday nights. Great net, and very busy with a telephone gateway for those of us not licensed. They talked about their equipment and traded frequencies, etc, and I wanted to be part of that so I got my ham ticket and bought the HTX202 from my own store. Then got the Icom 271 at AES and started adding to my radio shack. Still have that 202 out in the barn. I graduated years later to a Yaesu VX-7R, and now to a Yaesu FT2DR as far as HTs go. My base station is the Icom 746Pro, and I have been thinking about upgrading to a decent big rig. Overall, I'd say the scanning hobby got me into amateur radio. It's funny, I retired from trucking a few years ago and incorporated my Galaxy 10 & 11 meter radios from my big rig into my shack with an Astron 99 antenna up top, and I added the Galaxy DX 2547 base station to my line for local emergency ops, but I hardly ever fire them up anymore. I found the local EM clubs (ARES) and SkyWarn much more interesting. Now that I have switched locations to Dayton, Ohio area, I surely miss the Florida radio scene, especially HF monitoring. But, home is where you hang your microphone, so I am adapting. Now, go ahead and ask me why I gave up beautiful weather, palm trees, and all that sunshine for Ohio. 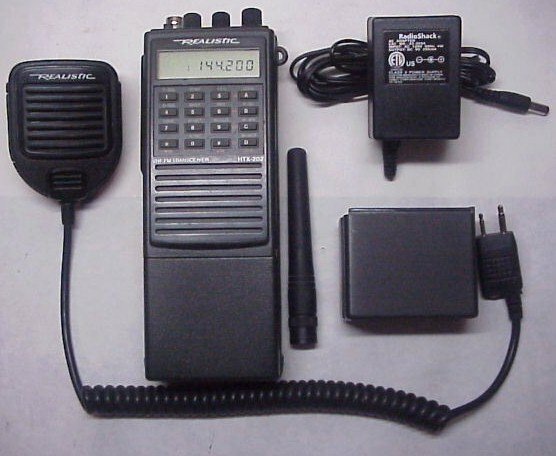 Motorola saber 1E VHF, it was programmed as a scanner for MTA and FDNY when they were on VHF. Loved that thing, heavy as hell though. Also had some westchester PS 155mhz Freqs. Pulled in signals very well. I started out on CB radio (it was my parents' answer to me wanting a ham radio for Christmas) - a TRC-434. They purchased a back-of-set antenna which was useless in the country! Years later (I did finally get a decent outdoor antenna), my parents finally allowed me to get my license, and my first radio was an Icom IC-2AT. I wish I had known about CTCSS before the purchase! But, it was an incredibly stout radio with the thumb wheel frequency selection, and dip switches for standard repeater offsets. I do not have either of these radios anymore; I have a whole new arsenal! Since this is ham radio specific, my first ham shack was my Novice shack in 1967. It was a home brew three tube CW transmitter (made about 25-30 Watts output) that I built out of some earlier ARRL Handbook, I think maybe the 1957 handbook? I know I got the tubes at an electronics salvage place for about 15 cents a piece. The receiver was a ~10 year old Hallicrafters SX-99 I got second hand. I think I paid about 25$ for the RX. So grand total, TX, RX, J38 key, antennas, etc, I probably had about $50 in my station at the time. The transmitter is long gone, I think I eventually tore it down to sue the parts in something else. The Hallicrafters SX-99 receiver I still have today, and yes, it still works and I use it occasionally. Although I have gotten rid of a few radios over the years (in general I do not sell radios, I just add them to the collection, I sometimes do give dups away to get someone started in the hobby) that SX-99 is one that has hung around. I have never really counted them, but the collection here is well on the far side of 200 receivers. Mine was a Yaesu FT207 followed by a FT290 as a transceiver, but crystal set was first I built followed by a kit which used red spot transistors, which did not work and mothers friend fixed it for me. The Yaesu FT207 stopped working this year when batteries went. My second radio was a TH-79AD. Loved it. It was a sweet radio, alpha tags and could cross band repeat. Also had civilian and military airband receive as well. Alinco DJ-160. I bought it a few minutes before I entered the room to take my test. I passed. Not a ham radio, I was too young, but here I am with my Dad - I was aged about 11yo in 1957!